Undefeated in its last 6 matches and sporting a 17 match winning streak the Los Rojiblancos and ultimate online betting favorite, has once again, taken the driver seat in Spain’s top-fight league. Atletico Madrid is now ahead by a point against Barcelona and 2 points over Real Madrid. But if there is anything that made the victory sweeter, this was the impressive challenge that Athletic Bilbao threw upon them. Being on top is nothing new with Atletico Madrid. Shortly after the winter break, the club has been showing signs of topping La Liga and they did not disappoint their supporters. Their patience and skills on the pitch earned them the top spot and therefore, put a stop to Real Madrid and Barcelona’s title monopoly. Atletico Madrid became the season’s certified dark horse. Yet, it seemed that the overwhelming and (unexpected) rise was too much for the members to handle. After a series of lackluster performances, the squad was literally back to square one. They were kicked out of the limelight and once again, saw themselves struggling. But Atletico Madrid is the kind of club that does not give up easily. Upon seeing Barcelona and Real Madrid’s demise, the squad worked on improving their performance and went back to the habit of incurring more points. Match after match, Atletico Madrid ensured that it has the upper hand. And so while their rivals crumbled, there it was, focusing on how it can regain its grand stature. The win against Athletic Bilbao brought them back on top. It is therefore, not so surprising to see Diego Simeone described their recent encounter as one of its “best games” this season. With the said win, any attempt to outrank Simeone and his men is no more than a futile effort. Those who dare to oppose will have to put a stop to the goal scoring machine, Diego Costa and creative antics of Koke. The combination of the two, resulted to a powerful duo that can bulldoze anything or anyone which crosses their path—and this is something that Villarreal should be wary of. Villarreal is one of the strongest clubs in La Liga. They may not be one of the title favorites. But they are a strong contender for the Europa League. As a matter of fact, they trail their closest rival, Real Sociedad by just a point. They are also aware that Atletico Madrid is a great force to reckon with and this makes them a real threat for they can easily pull off an upset. 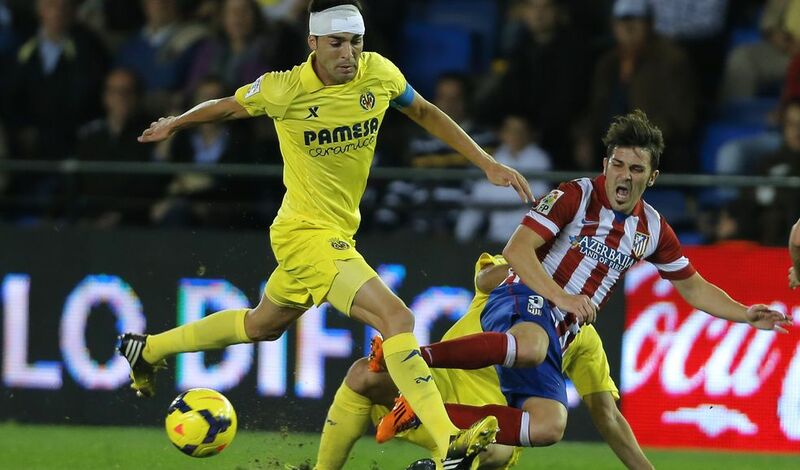 As the season is about to end, Atletico Madrid cannot be too easy against Villarreal. Otherwise, it faces the risk of losing their title bid.